Pharma major Lupin announced that it has received approval for its Fluoxetine Tablets USP, 60mg. Pharma major Lupin announced on Tuesday that it has received approval from the United States Food and Drug Administration (FDA) to market a generic version of Alvogen's Fluoxetine Tablets, 60mg. Despite the news, shares of the drug manufacturer closed 1% lower on the BSE. Adults: Efficacy was established in one 5-week trial, three 6-week trials, and one maintenance study. Pediatrics: Efficacy was established in two 8- to 9-week trials of patients 8 to 18 years of age. Obsessive Compulsive Disorder (OCD) - Adults: Efficacy was established in two 13-week trials. Pediatrics: Efficacy was established in one 13-week trial in pediatric patients 7 to 17 years of age. Bulimia Nervosa Adults: Efficacy was established in two 8-week trials and one 16-week trial. Panic disorder, with or without agoraphobia - Adults: Efficacy was established in two 12-week trials. Fluoxetine Tablets, 60mg, had annual sales of approximately $42.5mn in the US. 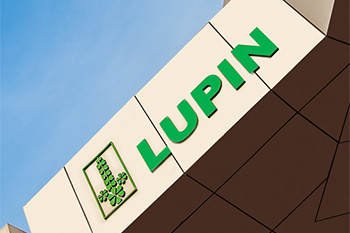 Lupin Ltd share price ended at Rs812.85, down Rs6.35, or 0.78%, from its previous close of Rs819.20 on the BSE. The scrip opened at Rs820 and touched a high and low of Rs824.50 and Rs808.90, respectively. A total of 17,64,880 (NSE+BSE) shares were traded on the counter.